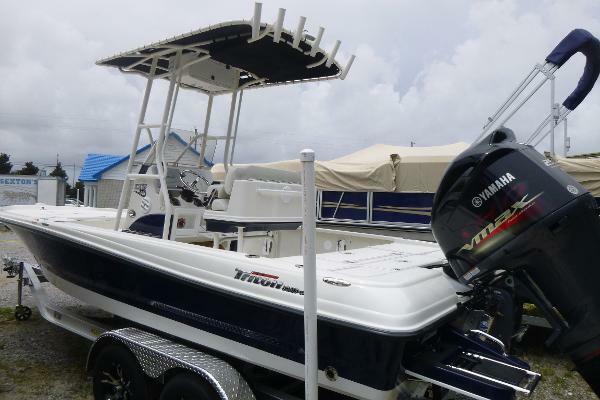 2018 Triton 220 LTS Pro For Sale Yamaha 250 V MAX SHO Outboard Marine Master Aluminum Tandem Axle Trailer w/ Brakes and Mags In Stock in Destin, Florida OPTIONS Garmin GPS 7610xsx MFD 4 Bank Battery Charger Minnkota Riptide ST112 w/ I-Pilot 36 volt Tilt Steering Helm w/ Hydraulic Steering AM/FM Stereo w/ Bluetooth (4 Speakers) Flush Mount Stainless Rod Holders T-Top w/ 4 Rod Holders, Electronics Box, Dome Lights, 2 Spreader Lights, PFD Storage Powder Coated T-Top Posts, Frame, and Leaning Posts Yamaha Command Link 3 Trolling Batteries Tandem Axle Trailer w/ Brakes Tournament Fishing Package (Includes- Yeti 65 Quart w/ Cushion, Colored Side Hull, Stainless Steel Latches, Port Side Rod Box Tubes, Live Release Well LED light, Baitwell LED Light, LED Compartment Lights, Bilge Pump Upgrade, Aft Livewell Recirculation, Aerated Live Release well, Raw Water Washdown Pump, Trim Tabs w/ Indicator Switch, Voyager Compass, 6 Gauge Trolling Motor Wire Harness Sneaking up a tidal creek, skimming across the shallows or running offshore into a wind-whipped chop, the Triton LTS is making its mark as the finest boat available for every bay and coastal fishing situation. The sleek design rides smooth and dry. 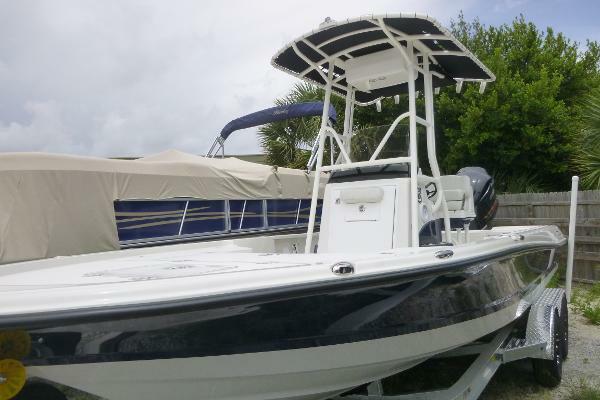 It provides ample freeboard, a very fishable deckplan, and excellent stability whether anchored, drifting or trolling. This beamy twenty-two footer is long on features, loaded with storage and built with the same wood-free integrity that allows Triton to back all of its boats with a Limited Lifetime Warranty. Financing Available. Manufacturer and Dealer Incentives Applied To Price. Pricing if displayed may or may not include boat, motor(s), trailer, options, freight, and prep. Please call us for complete pricing. This vessel is offered subject to prior sale, price change, or withdrawal without notice.